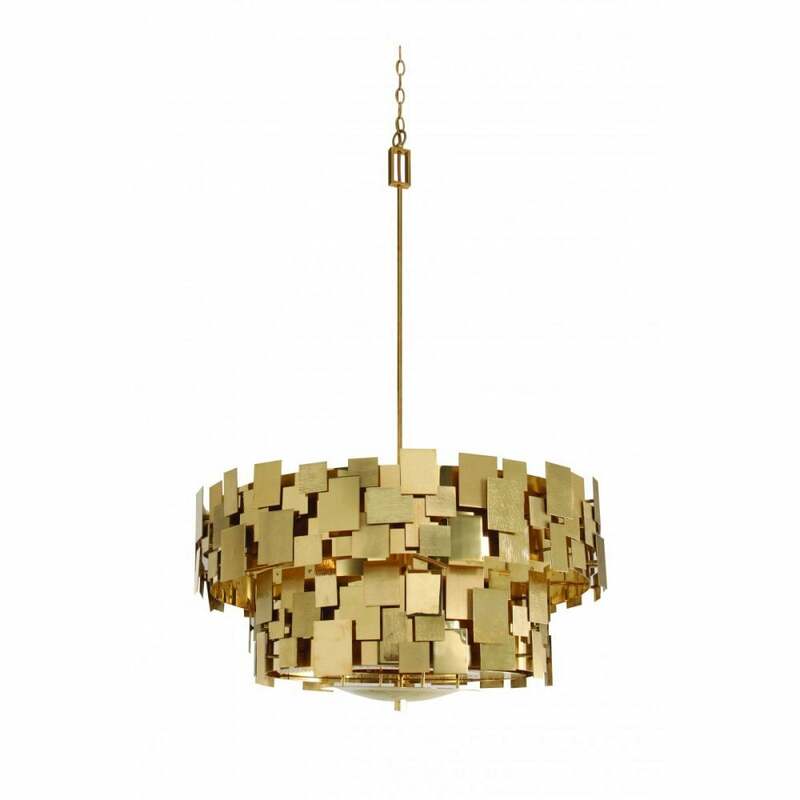 An impressive and spectacular construction of hundreds of individually hand textured, patinated and carefully assembled Brass platelets, the Luca Chandelier is an international space station of luxury. Divided into hundreds of segments, light sparkles off different planes creating a golden glow with wonderful shadows. Each Luca Chandelier will be hand made to order.